#1059 "dmConnect12: Getting started (Journey)" the basic introduction to the dmConnect12, including some theory, a general tour, and helping the first time user choose which mode they want to use it in. #1061 "dmConnect12: Setting up your dmConnect12 in Medium Mode" to get more sophisticated features, and to be make VOIP calls. 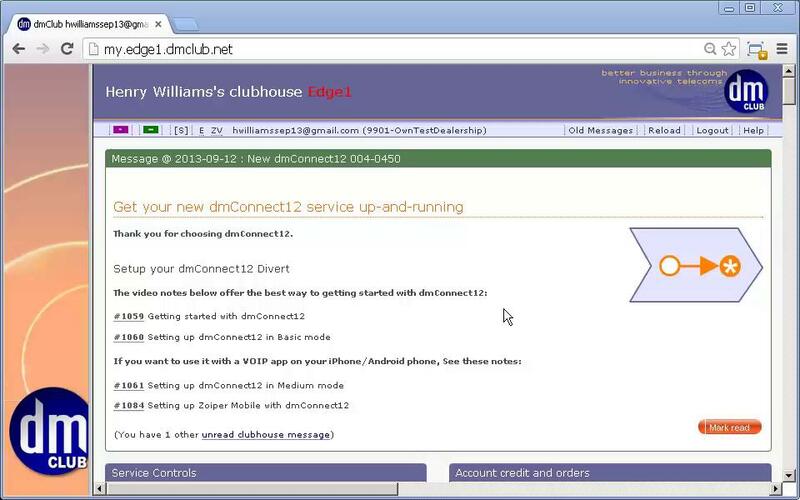 #1097 "using dmAnswers with dmConnect12"
#1098 "upgrading from dmConnect12 to dmSwitchboard12"